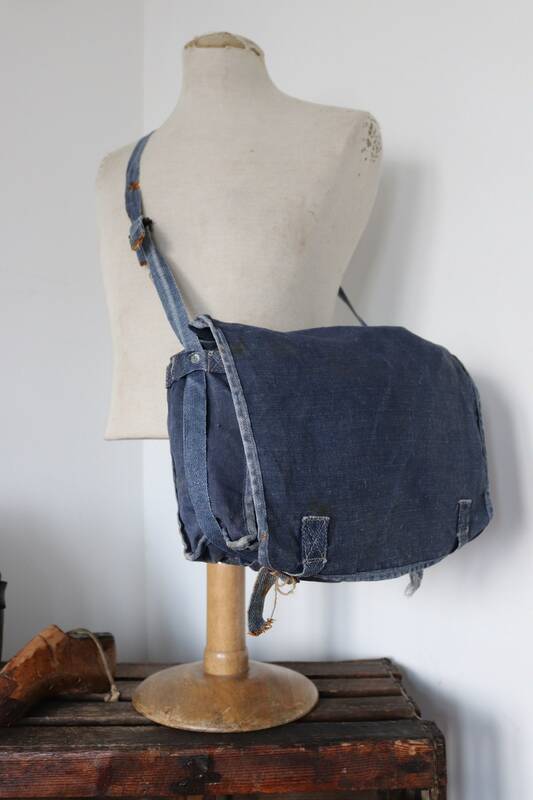 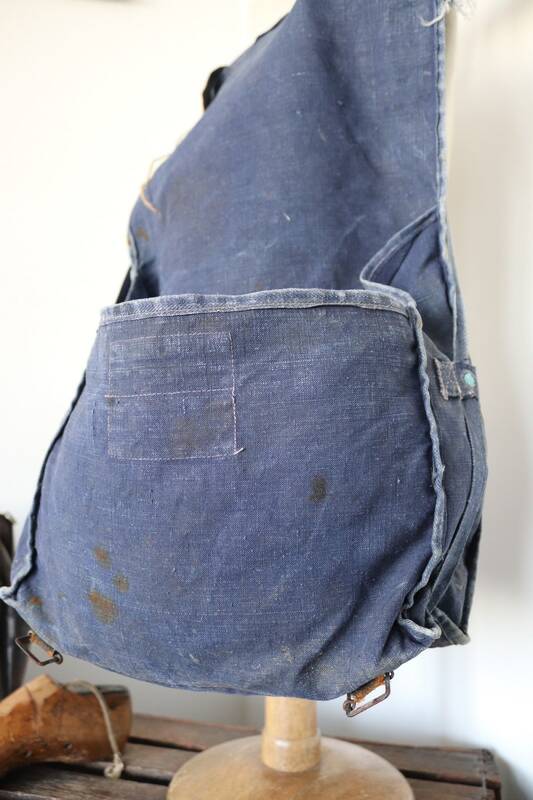 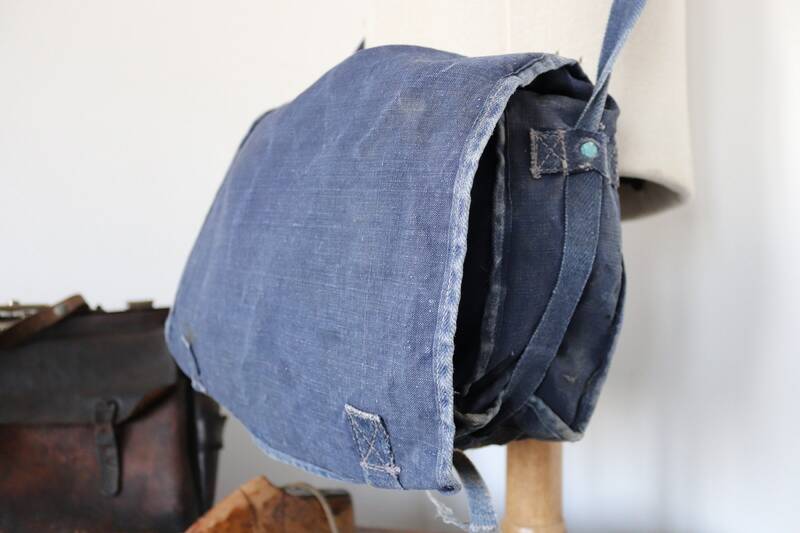 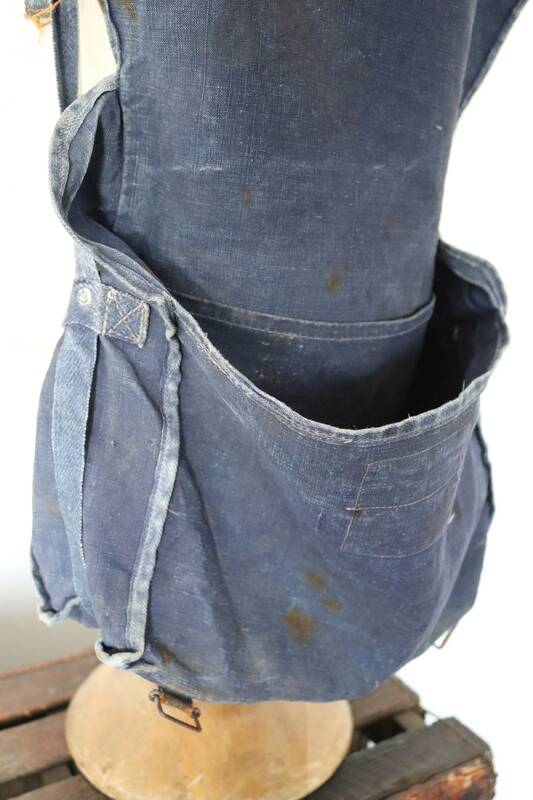 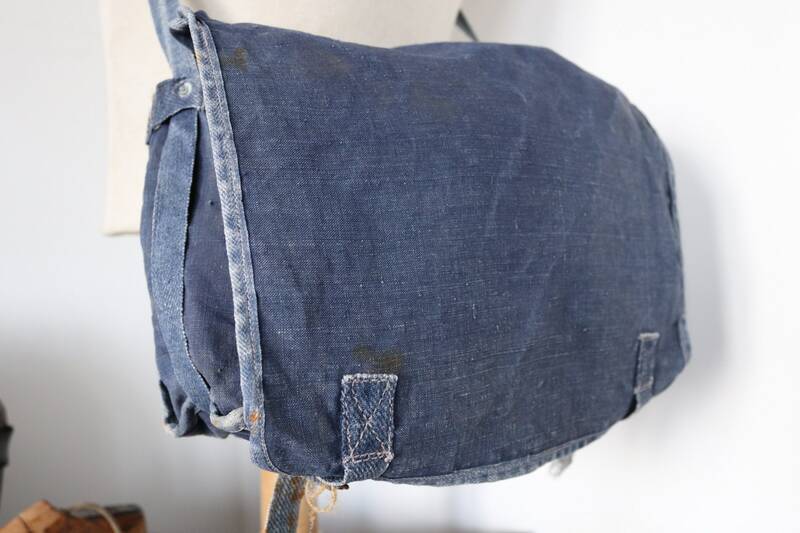 Vintage 1950s 50s indigo blue french Marine Nationale navy naval linen shoulder bag knapsack faded workwear work military 13" x 9"
A faded indigo French Marine Nationale linen knapsack dating from the 1950s. 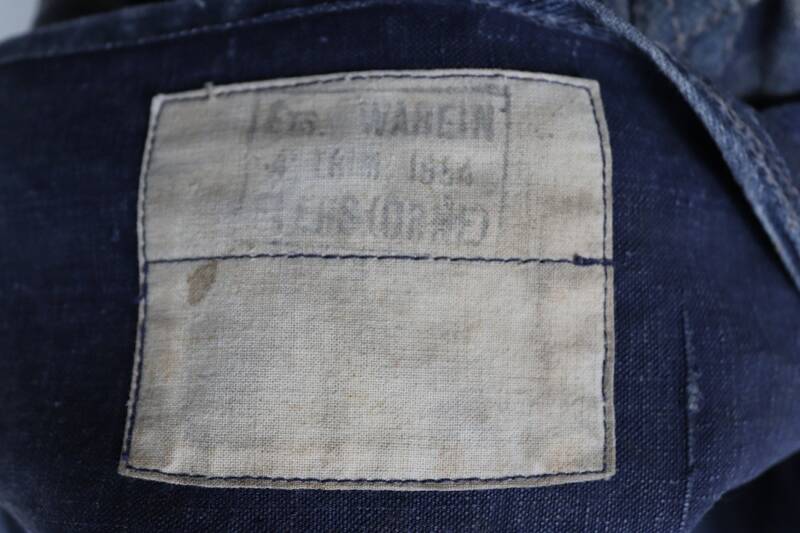 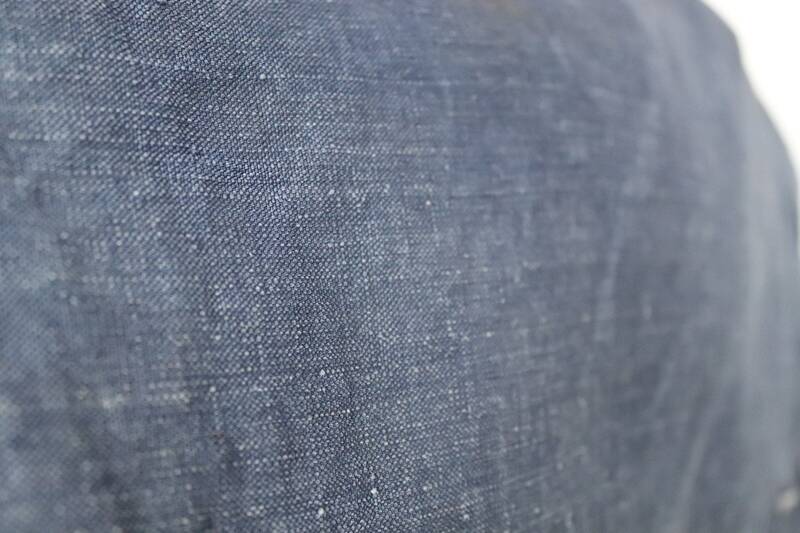 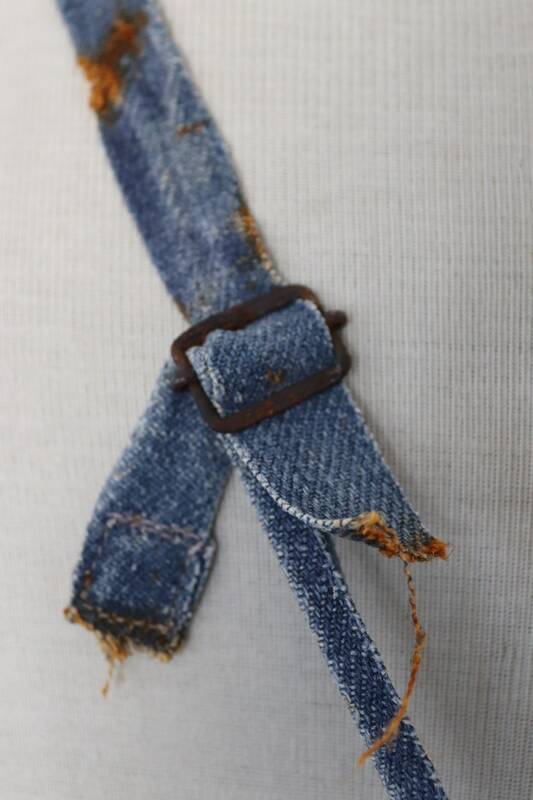 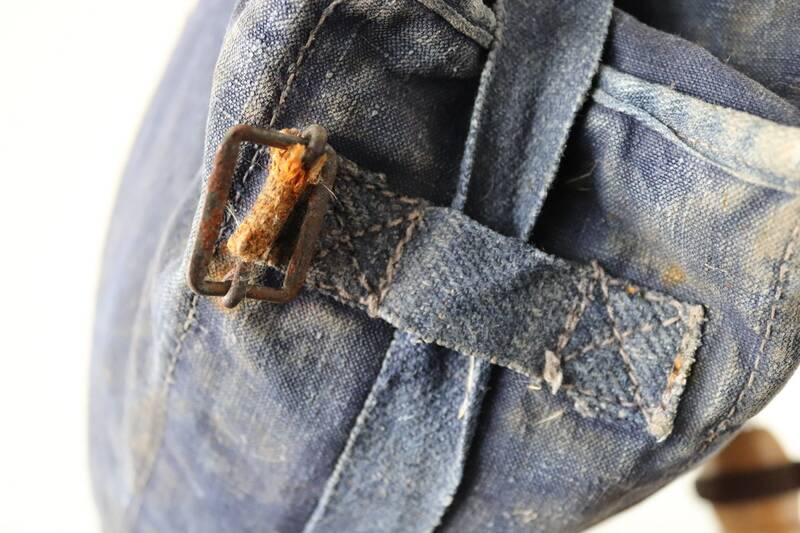 Noted flaws - marks, spots and fading throughout, the metal fastenings are rusted but are still serviceable. 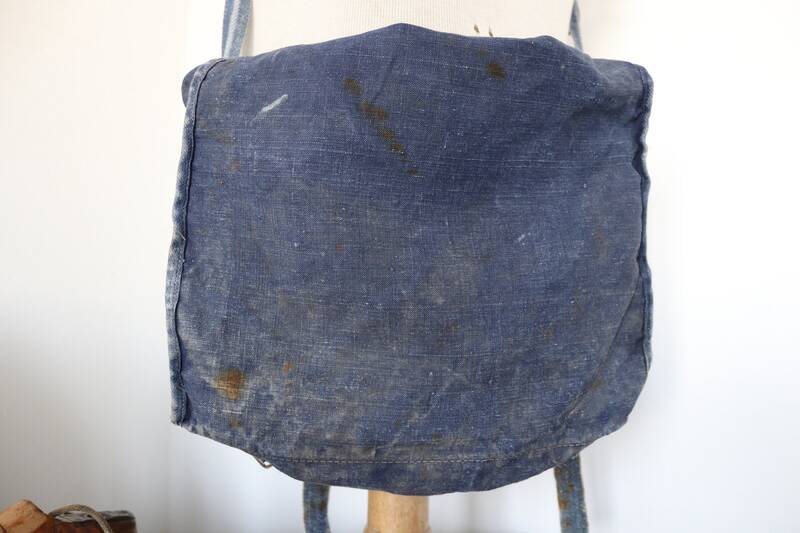 Beautiful texture and fading, inner pocket, fold-over top which fastens underneath, legible stamp, dated 1954, soft supple material, measures W13" x H9" x D4"